New York : Modern Library, 2002. 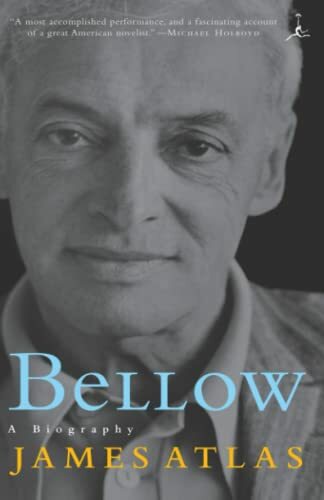 An account of Saul Bellow's turbulent personal and professional life, as it unfolded against the background of twentieth-century events--the Depression, World War II, the upheavals of the sixties--and amid all the complexities of the Jewish-immigrant experience in America, which generated a vibrant new literature. Atlas draws upon Bellow's vast correspondence with Ralph Ellison, Delmore Schwartz, John Berryman, Robert Penn Warren, John Cheever, and many other luminaries in this account of one writer's experience of America's twentieth-century intellectual and literary history. Perhaps the best biography that I have read. Bellow provides a life full of stories and challenges and Atlas matches his wit and verve. While it is natural to find something at odds with a piece of scholarship such as this, I will reserve my comments for admiration and respect.